Christmas is a time for traditions. For some, it's all about stringing up lights on a Christmas tree and wrapping up presents to put beneath it. For others, it's spending singing carols door to door to spread holiday cheer. 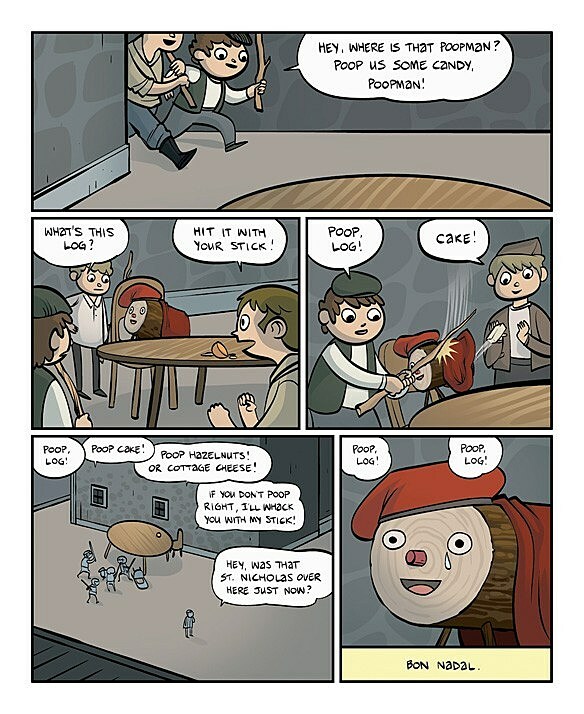 And for still others, it's a time to beat a log with a stick until it poops out candy. 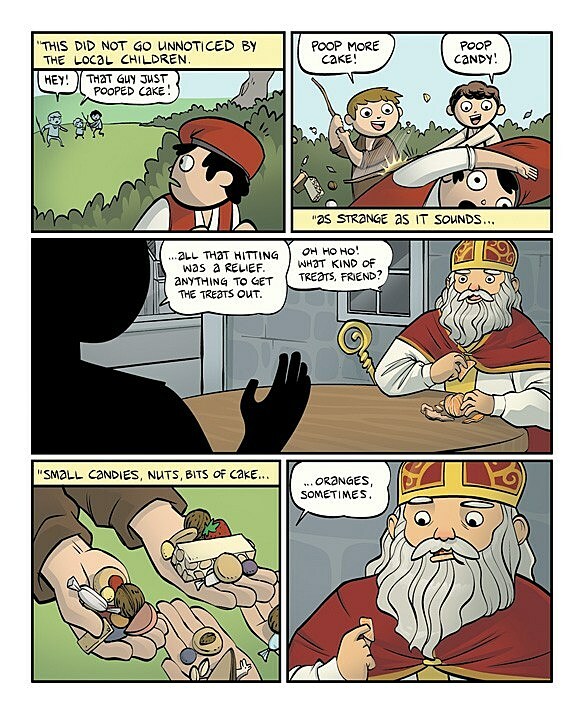 If you're not familiar with that last one, don't worry: ComicsAlliance favorites Benito Cereno and Anthony Clark have stepped up to explain it all in an original comic featuring an Untold Tale of St. Nicholas! 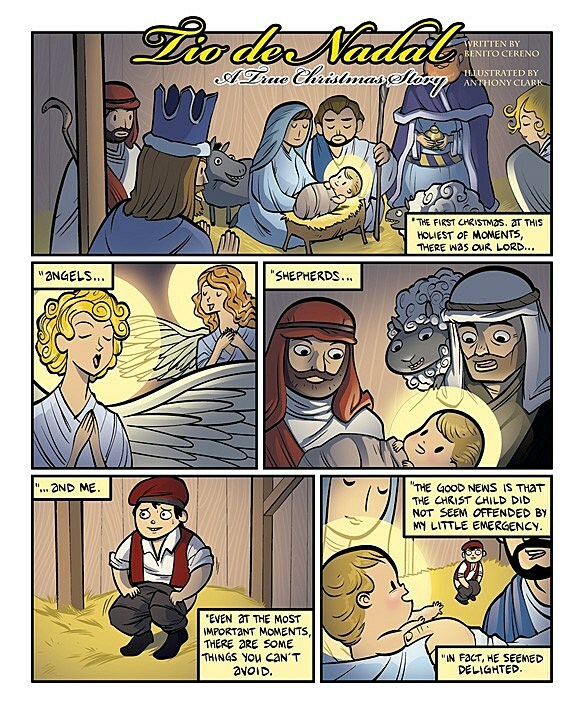 Check out the five-page Tio de Nadal: A True Christmas Story after the cut! You know, that might actually require a little more explanation. 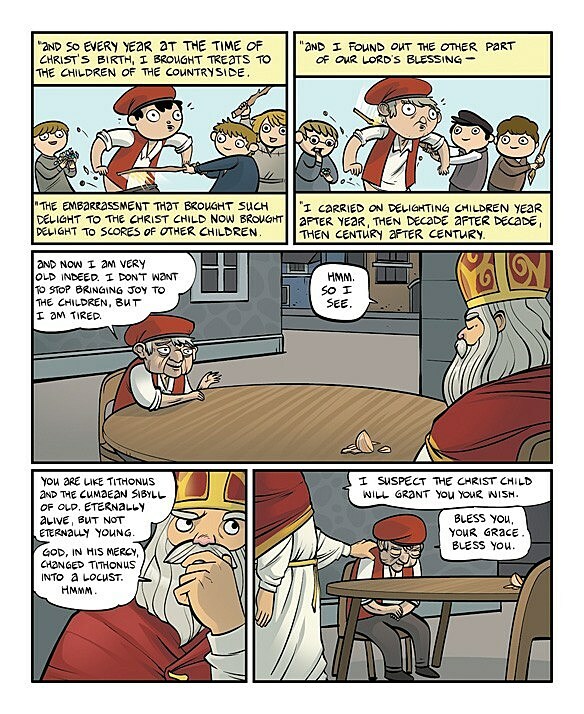 In this story, Cereno and Clark are connecting two related but separate Christmas traditions from Catalonia: The Caganer and Tio de Nadal. The Caganer, as the story indicates, is an additional figure found in Catalan Nativity scenes of a young man who was present at the manger with some very unfortunate digestive timing. The figure entered the local tradition way back in the 1700s, but to this day, no one is quite sure why. Debate rages over whether it was meant to represent that idea that God could arrive on Earth even when humanity wasn't ready for Him, or to show that since they had the good fortune to live 300 years before the advent of Adam Sandler movies, they had to work in their hilariously inappropriate poop jokes where they could. Either way, he's in there, usually hidden away in the back as far away from the Baby Jesus as possible. According to Wikipedia, there's even a similar figure hidden somewhere in a cathedral in Salamanca. 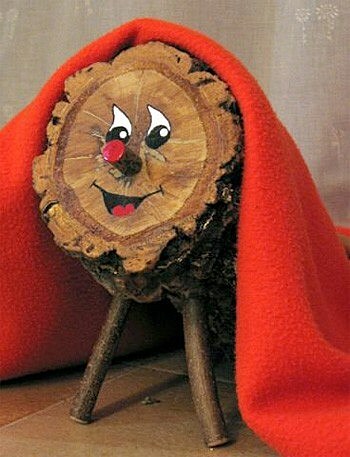 As for Tio de Nadal, which literally translates to "Log of Christmas," well, there's no getting around this one: It's a log that poops candy when you beat it with a stick on Christmas morning. Honestly, folks, your guess is as good as mine on this one. But clearly, these two separate elements were just crying out for someone to unify them into one grand Christmas tradition, and thanks to Benito and Anthony, that someone was St. Nicholas. So Merry Christmas, everyone, and may your log poop only the most delicious candies in this joyous holiday season! 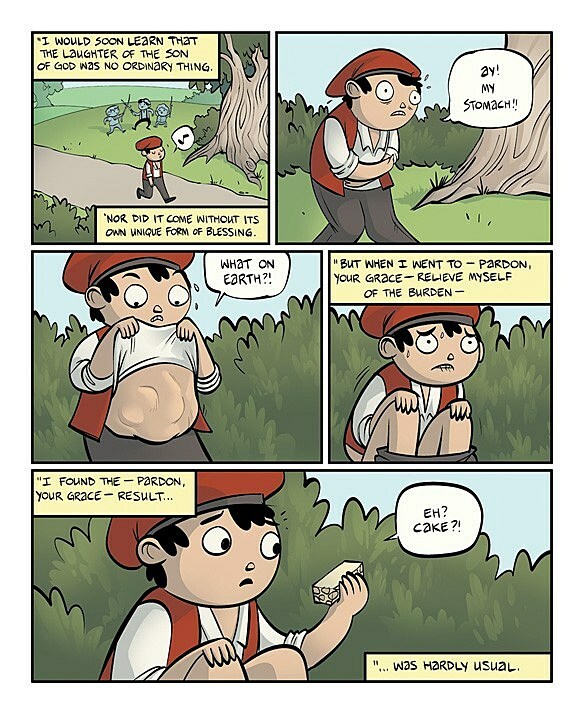 This comic was first published on ComicsAlliance in December 2011.